The Great Organ constructed in the 1730s with about 8,000 pipes was said to have been damaged by water but escaped the flames; initial inspections suggested the three ornate stained glass “rose” windows also appeared to have survived the fire, officials said.Fire officers have said a complete inventory of the damage will not be possible until the cathedral structure has been deemed safe. 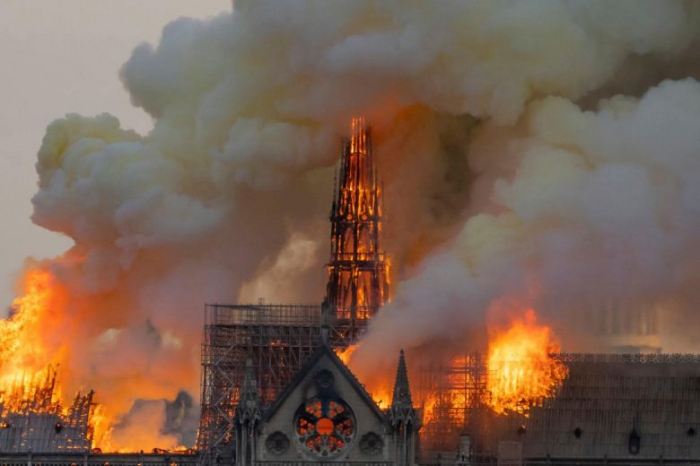 French political commentators noted the devastating fire had succeeded where Macron had failed in uniting the country. Politics was put aside as the president cancelled a statement and press conference giving details of measures emerging from his “great debate” in response to gilets jaunes(yellow vests) protests.